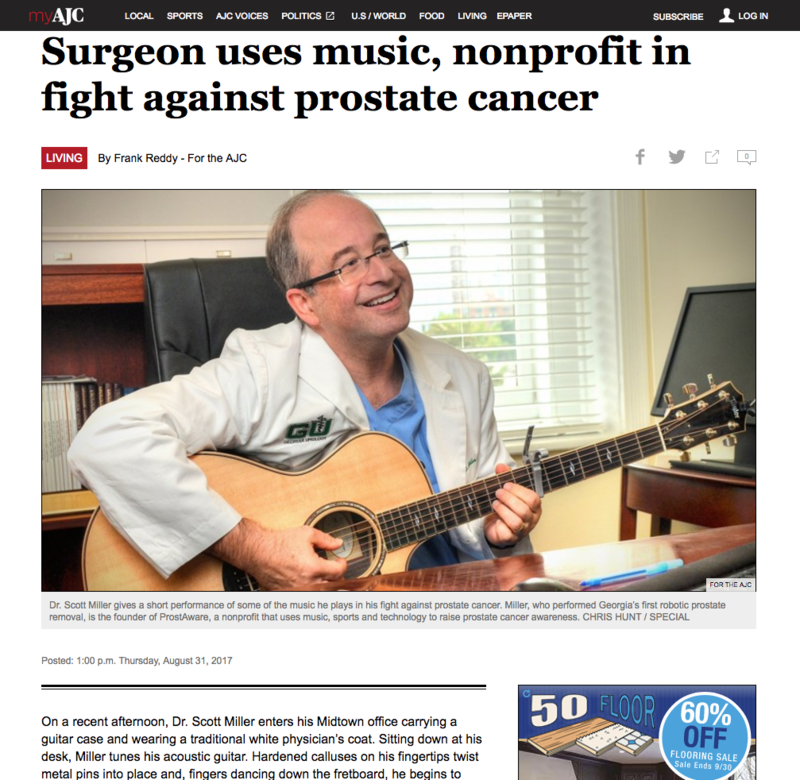 Dr. Scott Miller was recently featured in the Atlanta Journal-Constitution (AJC), the only major daily newspaper in the metropolitan area of Atlanta. The article discusses Dr. Miller’s history in the fight against prostate cancer, a deadly cancer that affects one in seven men and claims the lives of more than 26,000 men annually. Dr. Miller also shares the incredible, and sometimes unexpected, skills that he uses to fight this deadly disease, like his love for music. Read the full feature here.